Dr Ursula Hoff AO OBE LLD PhD (Hamburg) D Lit (Monash) was born in 1909 in London and died in 2005 in Melbourne. Dr Hoff’s distinguished career encompassed art history, curatorship and museum management at the University of Melbourne and the National Gallery of Victoria. Educated in Hamburg, she was among the pivotal first generation of European-trained art historians who introduced the subject to Australian universities. Dr Hoff was a lecturer in the then Department of Fine Arts at the University of Melbourne and worked at the National Gallery of Victoria, becoming its assistant director from 1968–73. She became the London Adviser to the Felton Bequest from 1975–83. Dr Hoff was a foundation fellow of the Australian Academy of the Humanities in 1970 and member of the Council of the National Library of Australia. 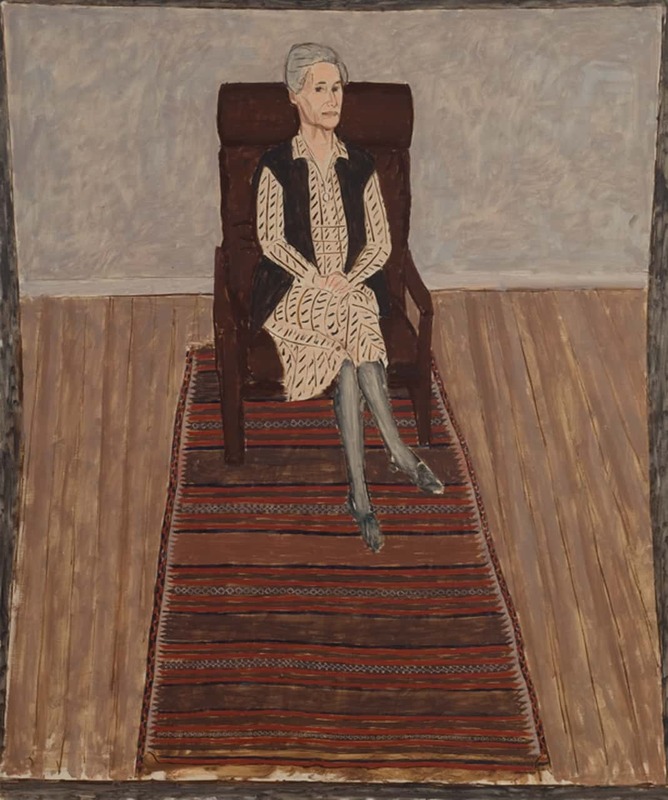 Her numerous scholarly publications include studies of Arthur Boyd, Charles Conder, John Brack and William Blake. The Ursula Hoff Fellowship is offered annually. The value of the award is $30,000. The duration of the Fellowship is four months. The Fellow is offered research access to collections relevant to their research at the University of Melbourne and the National Gallery of Victoria, subject to the collection access protocols relevant to specific collections. The Ursula Hoff Fellowship is open to early career researchers who have completed a Master of Arts (MA), Master of Fine Arts (MFA) or Doctor of Philosophy (PhD) degree in Art, Art History, Arts Management or Art Curatorship at a recognised Australian university. Applicants should have completed an MA, MFA or PhD degree no more than three years prior to the closing date of applications. 2018 Dr Jane Eckett; Transmission and transference: Ludwig Hirschfeld-Mack’s transfer drawings and the significance of the trace monotype among post-World War II modernist diasporas. 2017 Quentin Sprague; The Master Printer as Artistic Collaborator: an oral history. 2016 Dr Angelo Lo Conte; Antipodean prints: Joseph Burke, Orde Poynton, Ursula Hoff and the development of the University of Melbourne’s print collection. 2015 Emily Wubben; Imprinting one’s mark: The inspiration, output and legacy of John Shirlow. The Ian Potter Museum of Art is pleased to announce Dr Jane Eckett as the recipient of the Ursula Hoff Fellowship for 2018. The Fellowship is awarded annually to a candidate displaying a commitment to research into prints, the history of print collecting and the scholarly activities of museums and universities. The Ursula Hoff Fellow is provided with research access to collections relevant to their research at the University of Melbourne and the National Gallery of Victoria. Dr Jane Eckett is an early career researcher and teaching associate in the University of Melbourne’s art history and gender studies programmes. Her PhD, conferred in 2017, traced the origins of Centre Five, a group of European-trained modernist sculptors who converged in Melbourne after World War II. During her doctoral studies Jane worked as an archival assistant to Inge King (since deceased), a founding member of Centre Five, and catalogued the studio contents of the painter-printmaker Grahame King. Drawing on her prior research into the post-WWII monotypes of Jankel Adler, Louis le Brocquy, Alan Davie and Inge and Grahame King, Dr Eckett aims to contextualise Ludwig Hirschfeld-Mack’s trace monotypes against international monotype practice. Remembered chiefly in Australia for his pivotal role in disseminating knowledge of Bauhaus pedagogy and for his experimental Farbenlichtspiel (colour light plays), Hirschfeld-Mack’s extensive printmaking practice is less well understood, particularly the transfer drawing technique he employed in his trace monotypes.